One of the wonderful things about Girl Guides is the way it connects girls and women from all around the world. Britannia Park had some special visitors last month, all the way from Singapore! 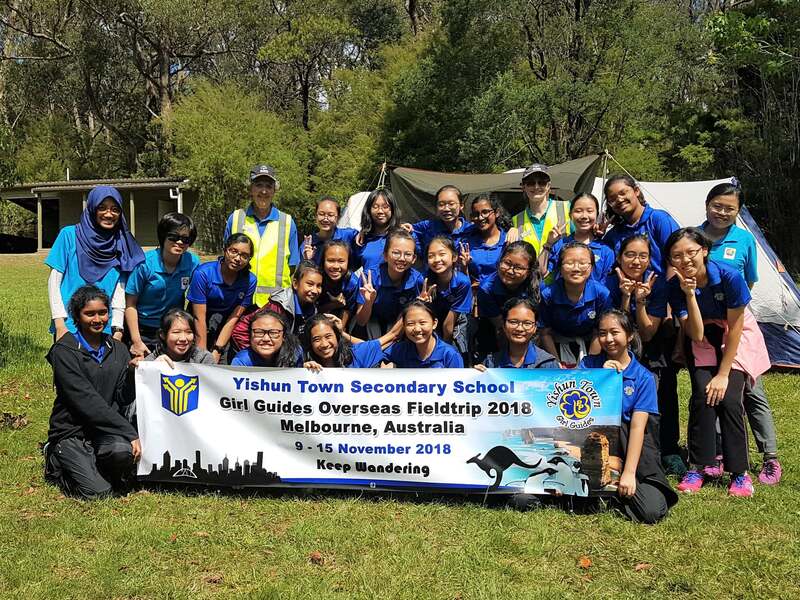 Twenty-two Singapore Girl Guides and their Leaders spent three days at Brit Park and three days sightseeing in Melbourne. Their mission? 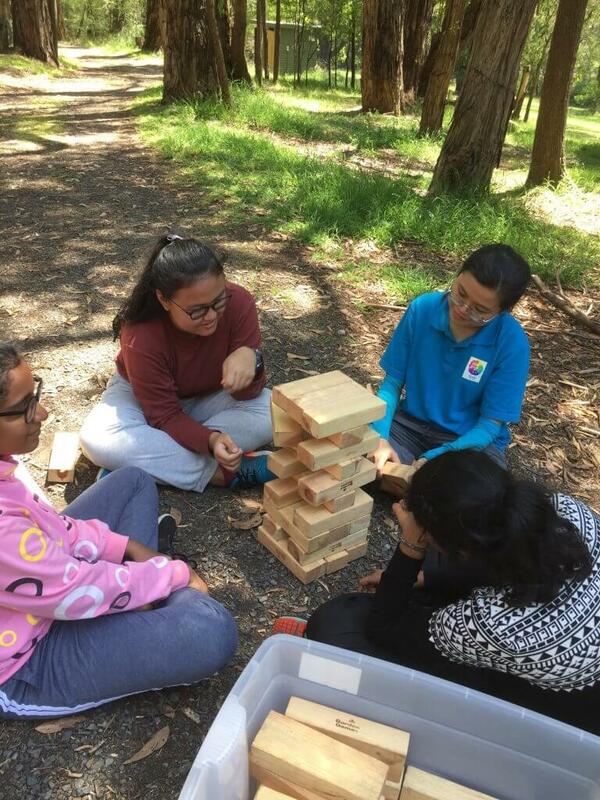 To camp outdoors and do some fabulous Aussie Guiding activities. It was an action-packed trip and here are the highlights. Meeting new friends around a campfire. The visiting Guides were welcomed by some local Victorian Leaders, who showed the girls around Brit Park and worked together with the girls to pitch their tents. After that the Singapore Guides got to meet the Vermont Guides. They were all really excited to meet each other! The Vermont Guides made some special Aussie souvenirs to celebrate the Singapore Guides’ visit to Australia. The girls all spent a fun evening singing around a campfire. The Singapore Guides and Leaders were full of questions about the Australian Guiding Program, age range, badges, and youth peak achievement awards. 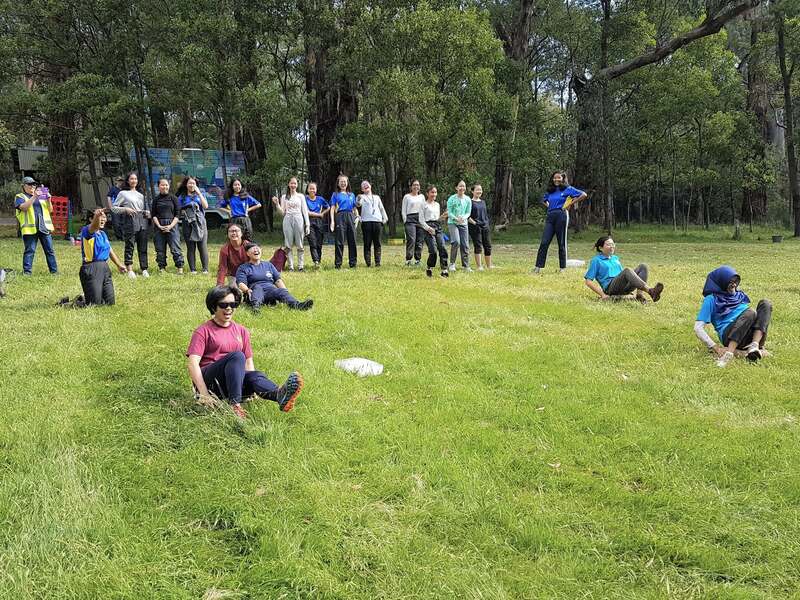 Another special activity that the Singapore Guides got to experience in Australia was caving. 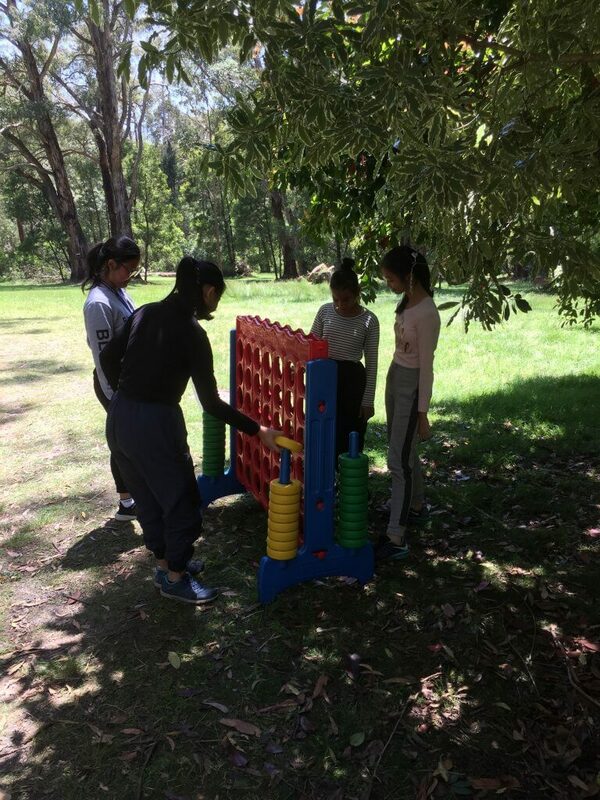 They split into groups to go caving, and while the different groups were waiting for their cave adventure, they played some excellent games of outdoor Jenga and Connect 4. On top of that, the girls had a go on the possum flyer. We can report that this resulted in lots of laughter and shrieks of delight. Then it was time for ice-blocking. This activity involves sliding down a hill while sitting on a block of ice in a hessian bag. The Singapore Guides saw the Vermont Guides doing this awesome activity and were eager to try it. All the Guides had a ball participating in this activity. Even the Leaders and the Tour Leader got in on the action! At the end of their time at Brit Park, the Singapore Guides presented the local Guide Leaders with a lovely thank-you note and told them how much they had enjoyed the experience at the beautiful Brit Park campsite. The Singapore Leaders have said that they’d love to bring another group of girls to Britannia Park next year if possible. The Victorian Leaders who hosted the Singapore Guides (Heather, Barb, Bec, and Mandy) said that really enjoyed the experience. We love hearing stories about Guides and Leaders from different parts of the world coming together and making lovely memories. Girl Guides truly is the world’s biggest girl gang!